2:The melting temperature rises quick, and thereforethe chamber temperature is simple to regulate,The production efficiency is also very high. 3:The machine is economical in melting and power saving, whose structure is compact and overload capability is powerful. 4:24 hours continuous work ends up in a high production potency, greatly up the profits of enterprises. 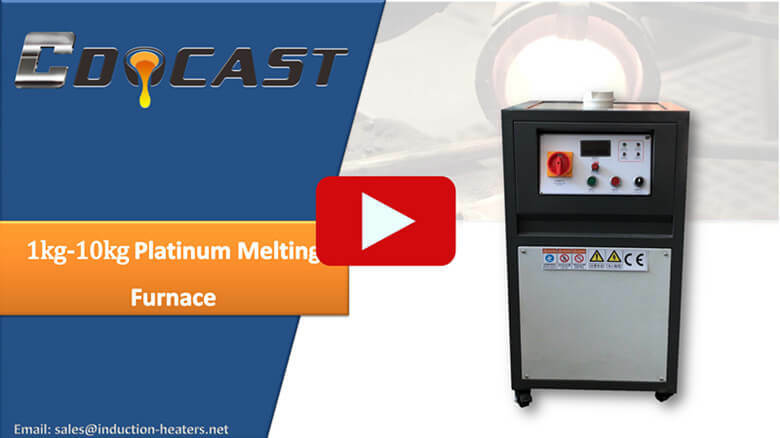 5:Cooldo Platinum Smelting furnace’s simple operation and reliable melting operation let any employee will find out how to use our stove in half-hour. 6:Every Platinum Melting Machine is provided with its own pump. it’s economical and practical that the client will run the instrumentation simply with atiny low quantity of water. 7:It owns electromagnetic stirring force, therefore the metal composition is consistent once smelting some alloys. and therefore the product quality is nice.